Happy Christmas Videos: Cee Lo Green & The Muppets "All I Need Is Love"
Atlanta native Cee Lo Green is celebrating the holiday season, Muppet style. 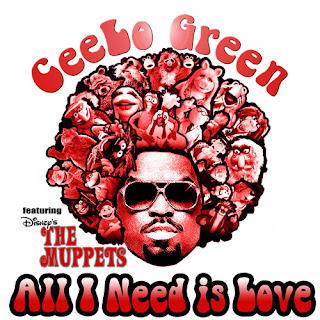 He has released a cool and fun Christmas video for "All I Need Is Love," a track featuring Jim Henson's lovable muppets that was included on the singer's recent holiday album "Cee Lo's Magic Moment. " Watch how Cee Lo gives Atlanta a shout-out while he sings and dance with the Muppets.